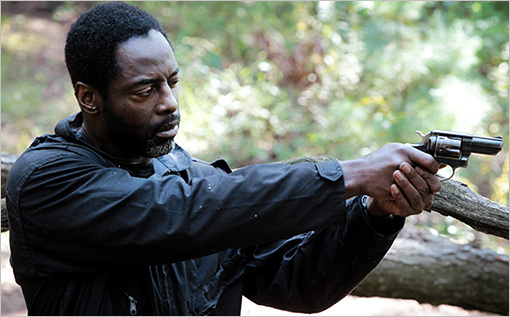 Isaiah Washington looks down the barrel of the small revolver. Photo by EW. While flawed in its portrayal of the 2002 Beltway sniper attacks, “Blue Caprice” stands as an effective character study of the two gunmen, John Allen Muhammad and Lee Boyd Malvo. The film omits thrilling aspects of the shootings to show the twisted bond between the two. 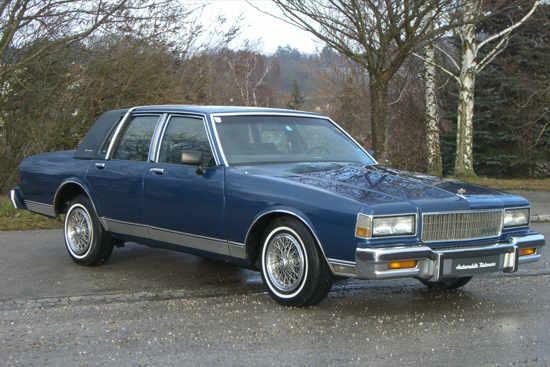 The title refers to the blue 1990 Chevrolet Caprice the duo drove. The Caprice also served as the vantage point for the attacks, with a sniper station fashioned in the trunk. Sounds pretty damn intense, right? It’s just unfortunate that it takes the film so long to get to this point. Much of the film’s beginning centers around the relationship between Muhammad, played by Isaiah Washington, and the 16-year-old Malvo, played by Tequan Richmond. To both actors’ credit, they turn in brilliant performances and illustrate the twisted and complex bond shared by the perpetrators. 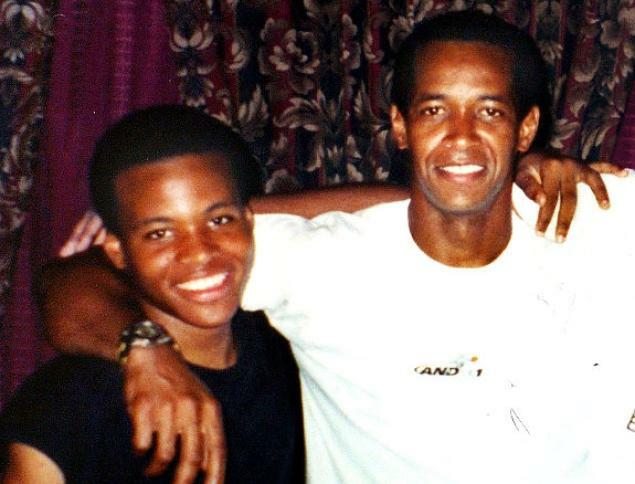 Photograph of John Allen Muhammad and Lee Boyd Malvo. Photo from NY Daily News. The powerful acting does not fully compensate for the plot’s pacing problem. Director Alexandre Moors takes too long emphasizing the deranged father figure Muhammad was, rather than the national panic and media coverage created by the killings. Total mayhem ensued during October 2002 rampage. 10 people died and three sustained injuries (including a 13-year-old boy) from the coordinated shootings. Entire school districts shut down in several states. Despite the opportunity to create spine-chilling scenes of the duo’s murderous trek throughout Maryland and Virginia, Moors chooses to depict this portion passively. Quiet frankly, their actual deeds receive a 15-minute summary. Moors fast forwards through the actual meat and bones of the story. In exchange, he delves into its heart by exploring of the relationship between the deranged Muhammad and the dependent, misguided Malvo. Anatomical metaphors aside, the sure-handed direction details Muhammad’s embrace—and later careful manipulation—of the orphaned Malvo. The relationship is so intriguing (and apparently really, really screwed up) that it salvages the film from its critical errors. The script, written by Moors and R.F.I Porto, does a kickass job at showing how twisted Muhammad became as a result of his fractured family life. The guy turned into a monster. Bolstered by Washington’s awesome performance, the dialog creates chills at how authentic it sounds. Muhammad spews his distorted view on life while Malvo passively listens and nods along. Tequan Richmond in a jumpsuit. Photo from The Post-Gazette. Other dialogues show the tender side of Muhammad as he teaches Malvo the American way of life. He becomes the father that Malvo never had growing up. Although not many have dads like Muhammad: in one scene, Muhammad ties Malvo to a tree and leaves him there just so he can find out if he’s loyal or not (And the Parent of the Year Award goes to…). One of the best aspects of the film is Tim Blake Nelson (If you’re unfamiliar, he’s Dr. Pendanski in “Holes”) portraying Muhammad’s friend, Ray. Ray is an average outdoorsman who allows Muhammad and Malvo to stay with him and his wife for a period of time. Nelson plays Ray as an unwitting accomplice who simply wants to help a buddy out. His genuine attitude contrasts the Muhammad’s devious ways. Ray is just about the closest thing to comic relief throughout the particularly morbid film. “Blue Caprice” is ultimately a pretty solid flick that missed its chance to border greatness. If only 15-20 minutes longer, Moors may have been able to display the strange bond while also highlighting the hysteria that the killings created. “Blue Caprice” is definitely not for everybody (especially if you don’t like Isaiah Washington). October 25, 2013 in Entertainment, Movies. Tags: Alexandre Moors, Beltway sniper attacks, father, Isaiah Washington, John Allen Muhammad, Lee Boyd Malvo, Maryland, son, Tequan Richmond, Tim Blake Nelson, Virginia, Washington D.C.
2013 Best Picture: Presidents, tigers and terrorists, oh my!